The regional manager for Bartercard has proved just one entry into a draw can pay off, as he purchased a raffle ticket just hours before he won Das Hund Haus late last week. Guy Ashford purchased a last minute ticket winning him the Newcastle bar and restaurant raffle, which is located two hours north of Sydney, New South Wales, last Thursday. Former owner of the German-themed bar and restaurant, James Sneddon, came up with the novel idea of raffling off the venue instead of trying to sell it earlier this year. He had a target of 8000 tickets which were in the form of two-for-one meal vouchers, redeemable up until September 1. Just one $25 voucher gave buyers five entries into the draw to win the bar and restaurant, as well as $30,000 cash. Sales for the tickets were open up until three hours before the draw closed at 5pm on Thursday. Mr Sneddon, who turned 30 on Sunday, surpassed his 8000-voucher goal by selling a total of 12,621 entires which equals $315,525. Subtract the $30,000 cash prize, and Mr Sneddon made $285,525 which is $85,525 more than he was hoping to sell the venue for in a traditional format. The lottery draw relied on the www.random.org website to determine the winner on Thursday evening, with representatives from the Office of Liquor and Gaming NSW and local JP office present. But the former general manager of local radio station, 2HD, won the incredible prize. “It’s surreal, never in my wildest dreams did I think I would win,” Mr Ashford told the Newcastle Herald. “I’ve never won a chook raffle – I’ll spend $17 on Lotto and feel good getting $5.20 back. This is absolutely the best $25 I’ve ever spent. “We [my colleagues and I] were joking if we won we would not be coming to work tomorrow,” Mr Ashford said. However, a friend from Brisbane who was watching the campaign online via someone else based in London notified Mr Ashford that he had won. The raffle gained international attention with ticket buyers residing in over 20 countries from around the world. People from the UK, Norway, and Sweden purchased tickets into the lottery which Mr Sneddon secured a permit from Liquor and Gaming NSW earlier this year. 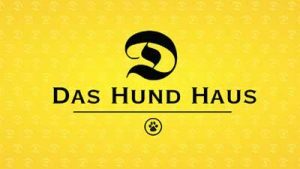 The winner of the only venue in Newcastle which sells steins of beer is undecided on what he will do with Das Hund Haus. “I’ve got no idea what I’m going to do, I’ve never run a restaurant before,” Mr Ashford said. The prize comes with 33 months on the lease, zero debts and some leftover stock, while the liquor license will be transferred to Mr Ashford provided he keeps the venue. Mr Sneddon said he would be spending the money raised from the lottery raffle on his new business Stigma Health, which is an online sexual health clinic. If you enjoy raffles you can head to Oz Lotteries to buy tickets into draws to win million dollar houses and other exciting prizes. If you prefer lotteries, check out Lottoland.